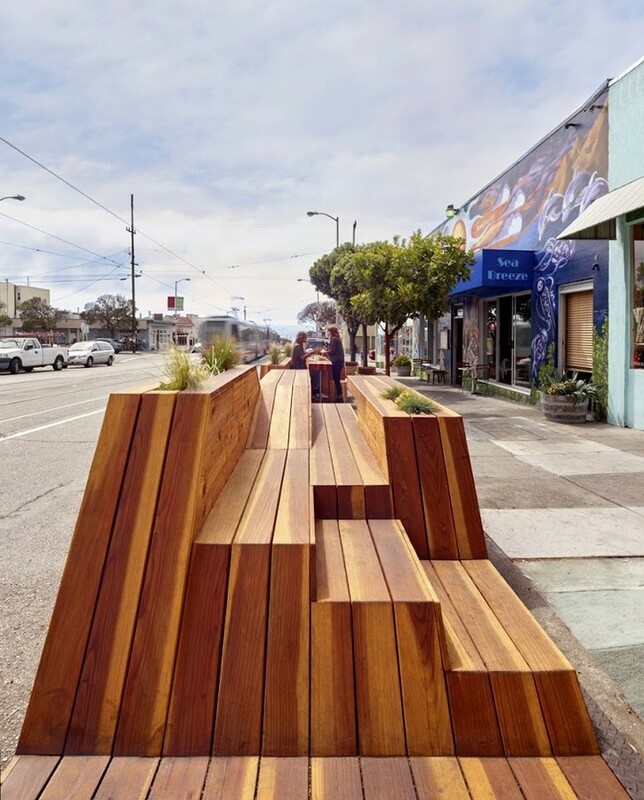 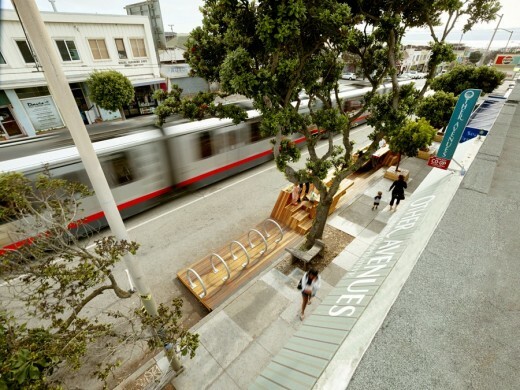 INTERSTICE Architect’s “Sunset Parklet” was awarded the Special Recognition in Urban Design from San Francisco’s AIA 2015 Design Awards Program. 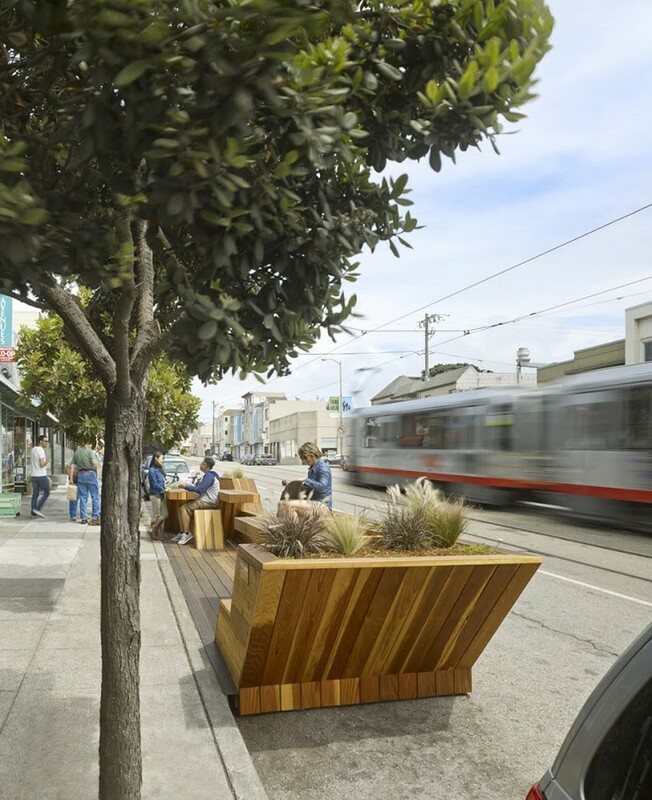 The Sunset Parklet is a new public amenity designed for two local community oriented businesses in San Francisco’s Outer Sunset district on the Judah light-rail transit line. INTERSTICE Architects’ designers took on the controversial 50 ft long site (2.5 parking spaces) as a pro-bono project to help the Other Avenues Whole Food Co-op Market and the popular Sea Breeze Café develop and realize a simple, well detailed and synthetic solution to their multi-headed program demands and complex public process hurdles – which was in difficulty and losing momentum. 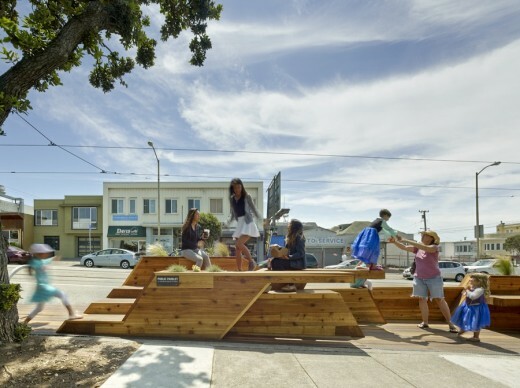 An ambitious program included seating for eating, a community gathering space, a heavy bicycle parking component, dogs, children’s play, durability and low tech construction, while remaining whimsical, playful and engaging for all of their diverse constituencies and a host of desired seasonal, day, and nighttime activities. The community stakeholders did not want just another “pen for tables and chairs”. 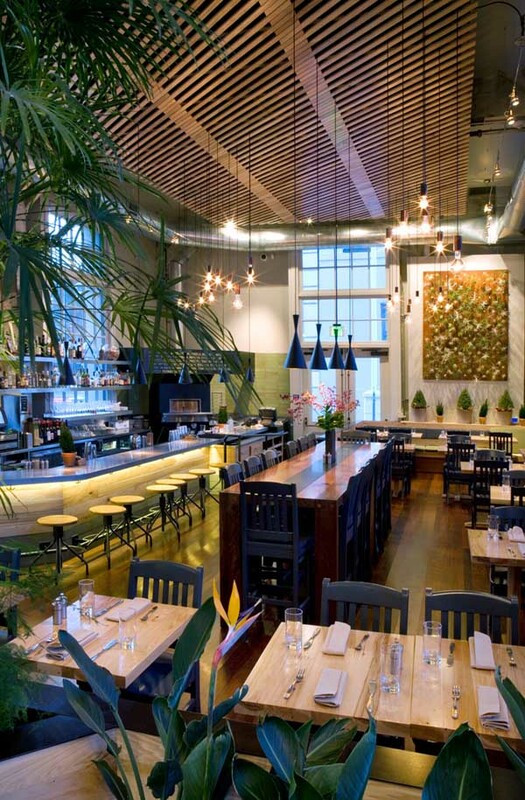 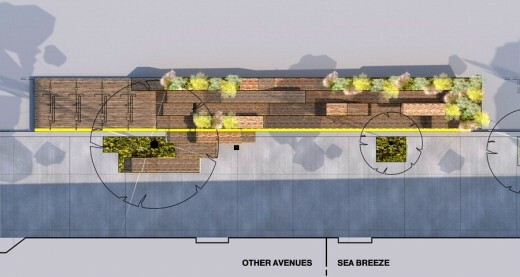 They were concerned that it acknowledges the nearby Ocean Beach, and ocean vessels that historically trafficked just blocks away – without being reducible to a Disney-ish interpretation of a “boat themed parklet” which would seem trite. 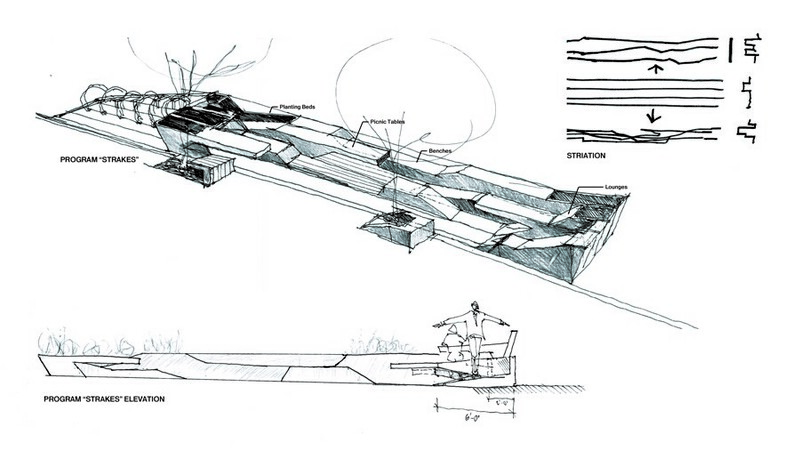 INTERSTICE explored the common sculptural aspects of these seemingly divergent formal strategies to arrive at a uniquely San Francisco solution. 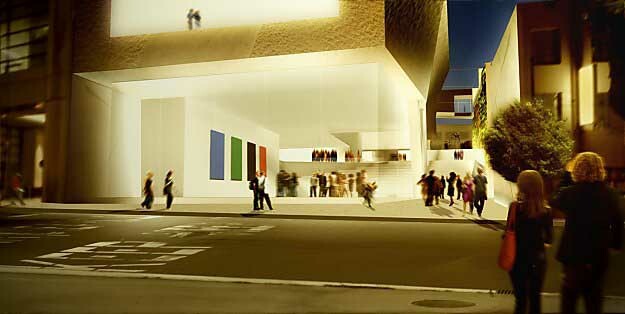 SF Topography in contrast to the regular SF Street grid became a guiding metaphor for the projects development. 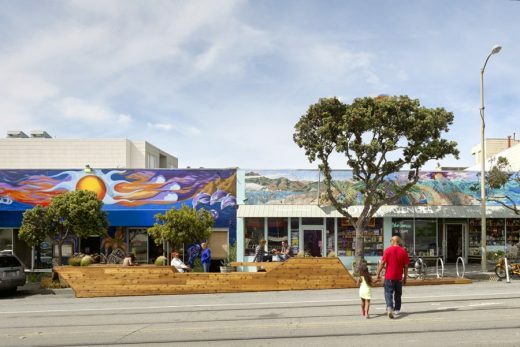 Despite a deceptively regular street grid, San Francisco’s topography is famous for its undulations (like waves or sand dunes). Four streets cut from different parts of the city’s fabric would hardly matchup when placed next to one another. They would create juxtapositions along their sectional edges, and this became the operational device for how the Parklet would be articulated. 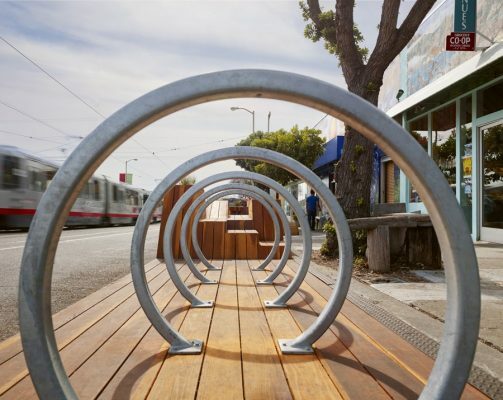 A 50 foot long site was conceptually divided into 4 equal 18” parallel strips which start aligned at the uphill eastern edge – to create an MTA approved Bike Parking platform. 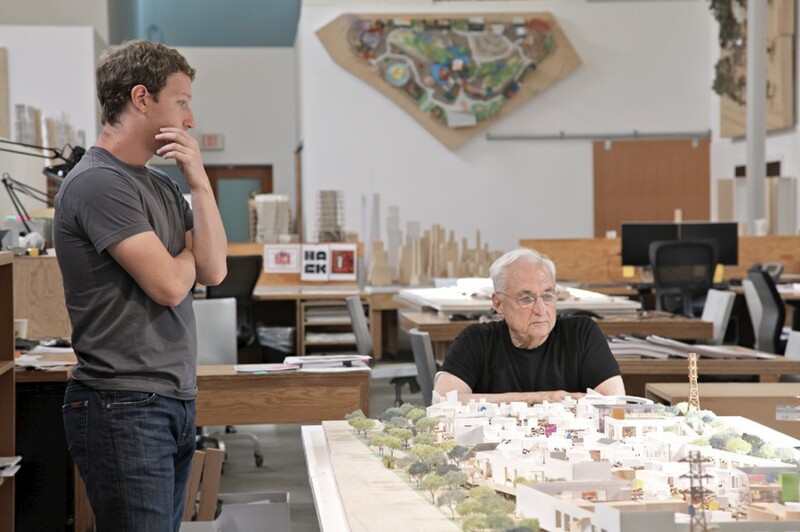 Like a coastal edge they continue flat, beach-like, until they suddenly diverge vertically to follow seemingly independent programmatic objectives. 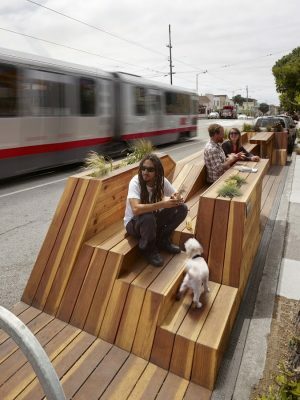 Each of the four “street” strips undulate and double back upon themselves becoming seats, lounge chairs, tables, benches, planters, and accessible areas of ground and circulation along the entire length of the Parklet until they all reunite to form a raised planter that shields the windward western edge like the prow of an ancient long-ship. 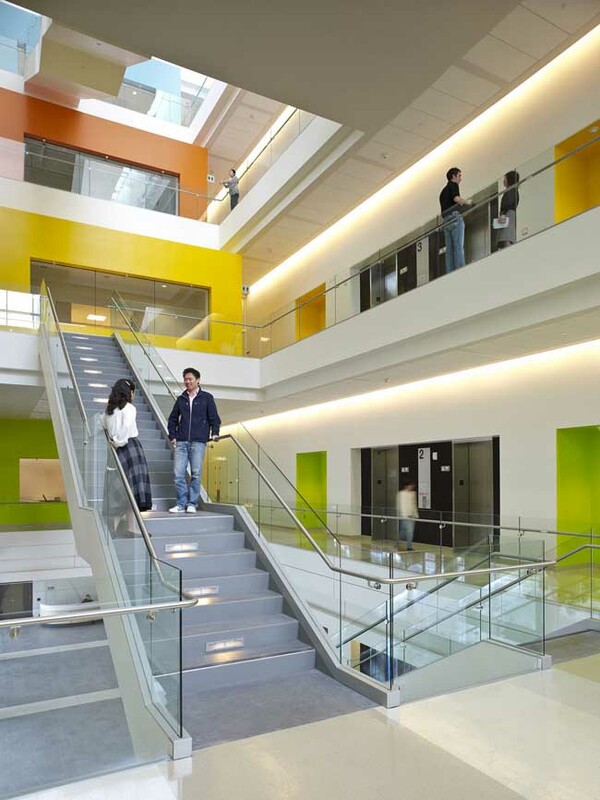 Individual Strips rise and fall creating complex adjacencies as they pass each other enfolding opportunities for a wide variety of programs and a rich diversity of formal “readings”. 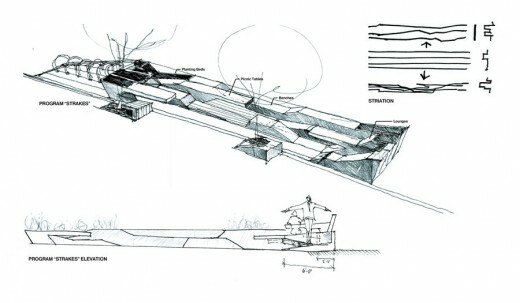 The final result is unique and exciting in its formal abstraction, while at the same time comforting and highly functional. 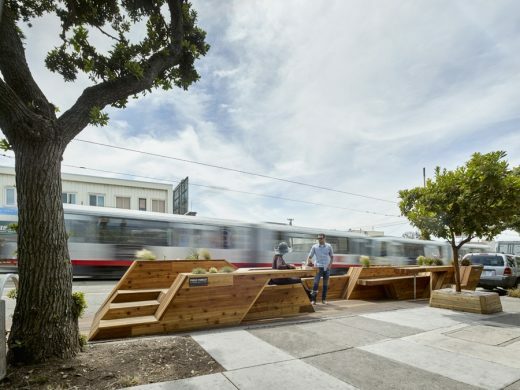 From some angles it resembles a large barge, or freighter carrying its passengers to the nearby beach, while from the pedestrian approach, it offers a warm complex wood environment as a refuge from the concrete sidewalk in which to relax, play, gather with friends, tell stories, eat lunch, or simply occupy a quiet corner alone with a book surrounded by swaying native grasses. 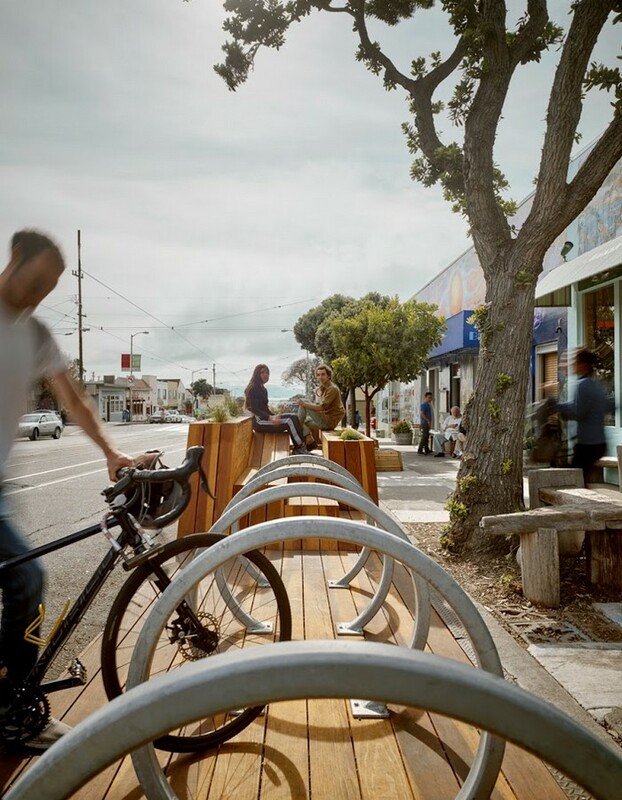 INTERSTICE Architects is a multidisciplinary collaborative of architects, landscape architects, urban designers and visual artists who embrace sustainability as integral to lasting and relevant planning and design. As designers, educators and urban activists, they strive to imbue material and space with identity, to create simple and sustainable solutions through intelligent infrastructures. Over the past sixteen years, this critical practice has grown designing public and private spaces on projects of multiple scales, prioritizing long term, fundamental change and creating solutions where things not only appear different, they are different.